I make enchiladas often because they are “comfort food,” especially in the winter. But they are delicious year-round too. This recipe surprised me a bit: It has milk and egg in the sauce! I never would have thought of adding that to an enchilada sauce. So, of course, I had to try it. And they were tasty. I loved the earthiness of the enchiladas with the freshness of the lettuce, radishes and chopped eggs. 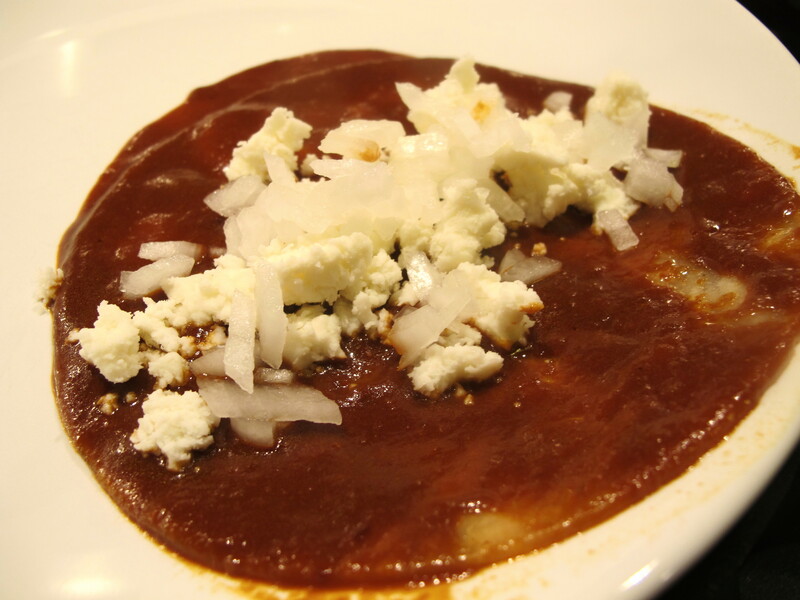 Here is Diana Kennedy’s version in The Essential Cuisines of Mexico, adapted from a recipe by Señora Josefina Velásquez de León of Aguascalientes, México. 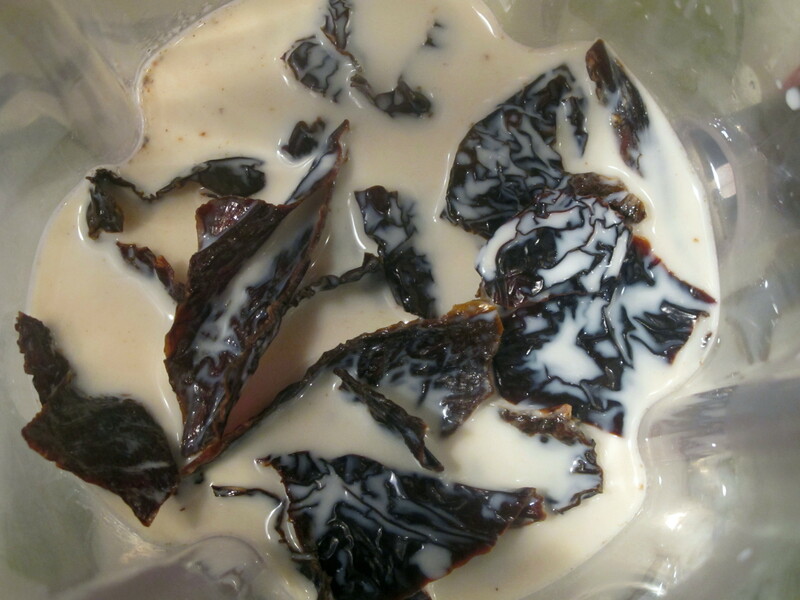 Place the toasted Ancho chile pieces, torn into small pieces, in a blender. 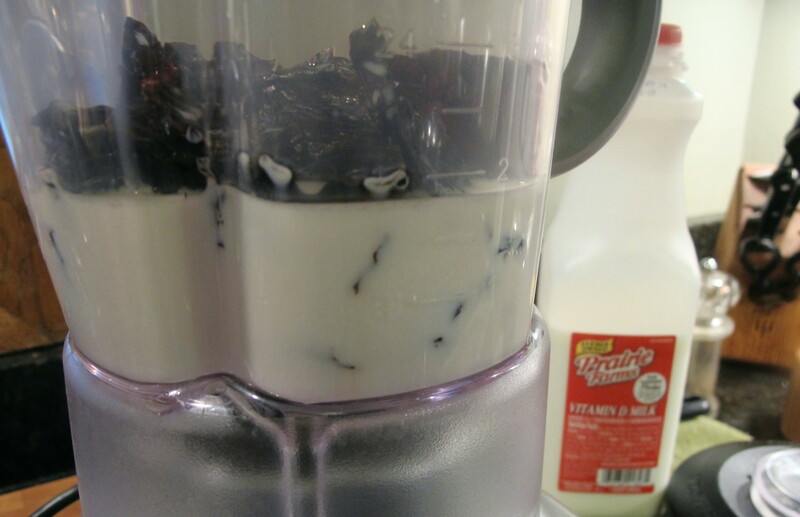 Add the hot milk and let them soak for about 10 – 15 minutes. Add the salt, garlic, cooked egg yolk and blend well. Add enough water to make 2 cups, if necessary. 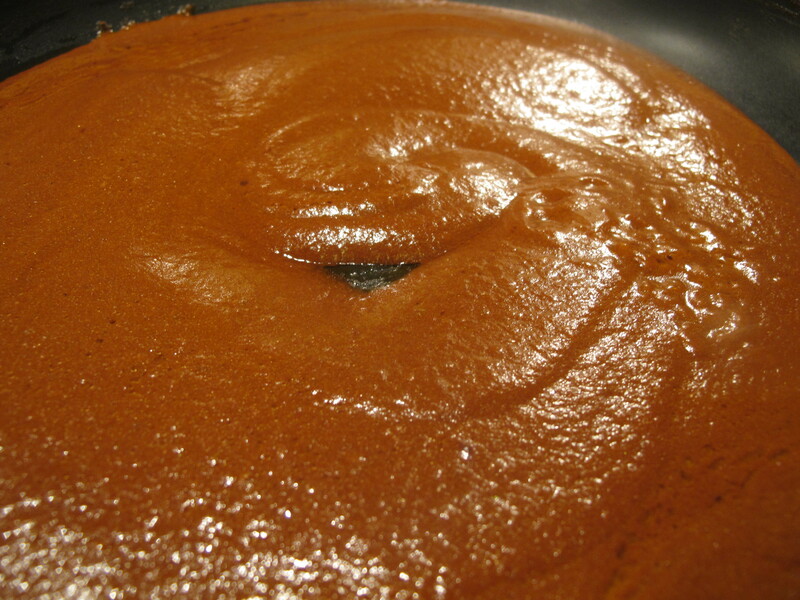 Heat oil in a medium-sized skillet or sauce pan over medium heat. Add the sauce and cook for 5 minutes, stirring frequently. Then remove from the heat and set aside. Heat oil in a separate skillet and fry each tortilla briefly on either side. Drain each tortilla well and set aside while you finish the rest of the tortillas. Reheat the sauce (add more water if the sauce has thickened too much) and dip each tortilla in the sauce, one by one. Place on a serving dish or plate and fill with the queso fresco and chopped onion. Roll each enchilada and repeat with another tortilla. 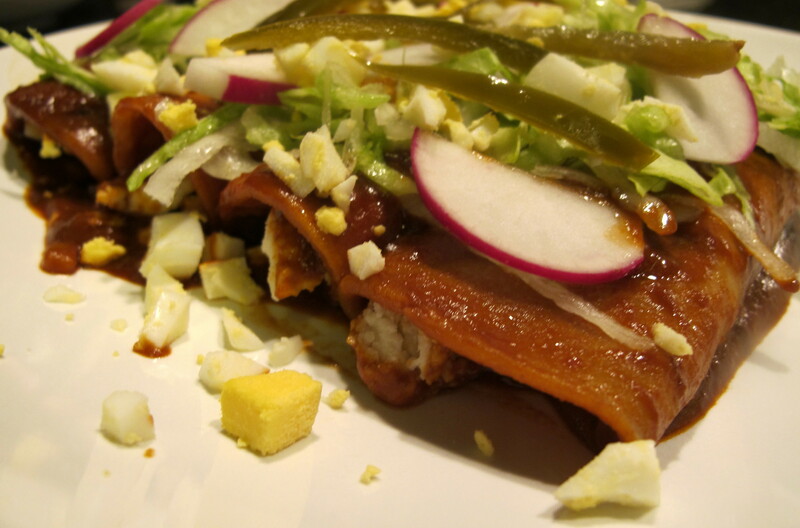 Place 3-4 enchiladas on each plate as a serving and top with the chopped eggs, lettuce, radishes and jalapeño slices. Serve immediately. Que rico! The sauce is probably so hot! Actually, ancho chiles aren’t that hot. You might get a spicy one once in a while. They have more “sweet” than heat. What an interesting recipe! Looks delicious.